I love this blog. It's been a constant in my life for seven years. We talk about all sorts of trends and styles. We talk about sales, gifts, and recipes. And sometimes we talk about the important things. 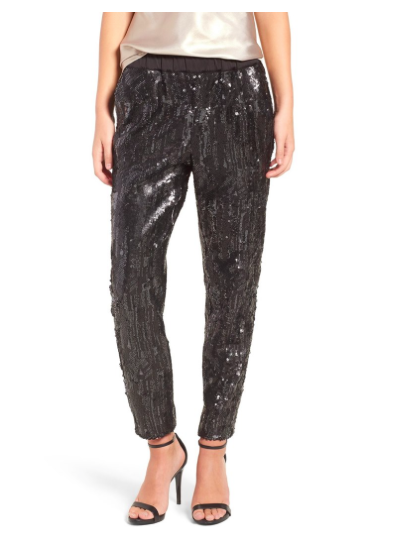 You know exactly what I mean: sequin pants. Paired with a white blouse or a denim jacket. These are a statement maker. Got a celebration ahead of you? 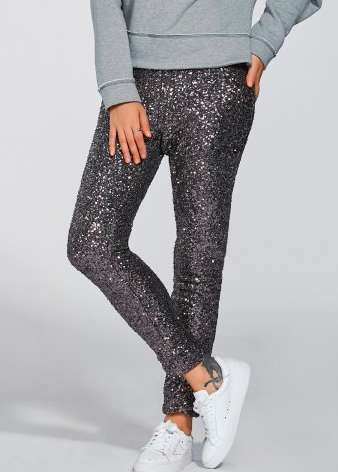 Wear these party ready pants. A little celestial, right? I love it. A great pant version of this style, because so often it's leggings. I'd pair it with classic black heels as pictured. It's important to remember the important things in fashion. It's not always about color blocking and ankle pants. 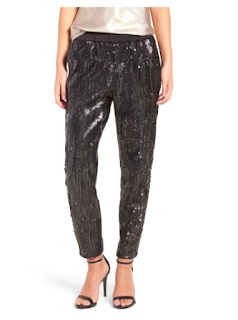 Sometimes it's the sequin pants that make you feel like a disco ball. The most beautiful disco ball there ever was.